Mick Fanning has spoken about losing his brother. 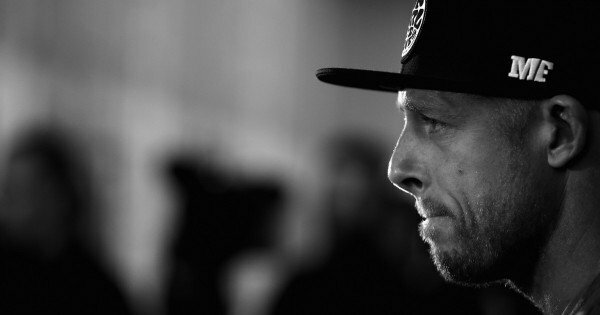 It’s hard to comprehend the sort of year Mick Fanning has had. He fought for his life in South African waters when he was attacked by a Great White shark under the glare of a hundred cameras. He returned to the water and stands on the brink of winning the biggest prize in World Surfing at Hawaii’s Pipeline Masters. And today, before he paddled out to win his place in the finals, he found out his older brother Peter, 43, was dead. I am so grateful for the incredible love and well wishes that have come my way since learning of my eldest brother’s passing this morning. Like all my big brothers, Peter will always be a hero to me. I have so many great memories of the good times we have all spent together and they will be with me forever. We recently caught up and he told me how proud he was of me and how much he loves watching me compete. Today was one of the most challenging days of my life but I knew I could find the strength to take part in the final event of the season because that’s what Pete would want. I also want to give special thanks to my other brothers – my friends on tour – for their support, I couldn’t have got through today without them. I would ask for some privacy on this matter while we come to terms with this devastating loss. Big thanks from our entire family. Tell the special people in your life you love them and give them a hug. Peter apparently died in his sleep at Mick’s Queensland home. Fanning has already lived through losing a brother – his younger brother Sean was killed in a car accident in 1998.The brothers, teenagers at the time, were on their way home from the same party in separate cars. 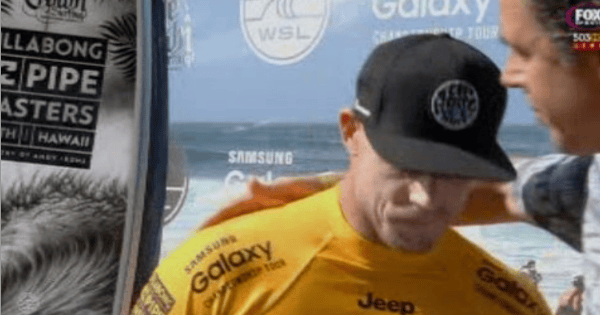 Today, there were understandably emotional scenes as Fanning got out of the water and embraced fellow surfers, and would only tell reporters that he had some”heavy personal stuff going on”. That, we can only imagine, must be an understatement. Fanning told The Daily Telegraph earlier this week that he thought of Sean often and the support he got from the surfing community had really helped him to deal with Sean’s death. “He’s with me. He’s with me a lot. Hopefully I will feel his presence out there with me,” he said. After Fanning narrowly escaped a shark attack competing off the coast of South Africa, he became a national hero. After punching the shark to get away, the 34-year-old said he would be happy to never compete again. But after spending some down time with family on the Gold Coast he regrouped, and returned to the surf. Despite the tragic news, he is currently on track to win the title, and perhaps have some good news amongst the bad. 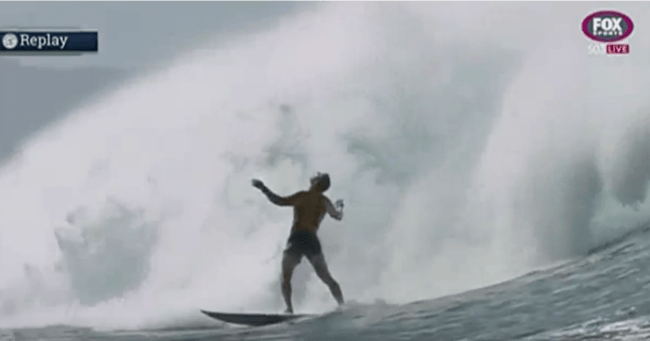 As he pulled out of an incredible barrel, Fanning looked to the heavens.